I am so, so excited to announce that legendary scrapbook company BasicGrey has gone DIGITAL! They have joined JessicaSprague.com as a digital designer, and their first collections are available starting TODAY at JessicaSprague.com! I swear I have been in a breathless tizzy for the last several weeks waiting for their launch today! In honor of our cause celebre' I've designed a so-cute, so-quick Instant Album using the new BasicGrey Clippings collection available at JessicaSprague.com. 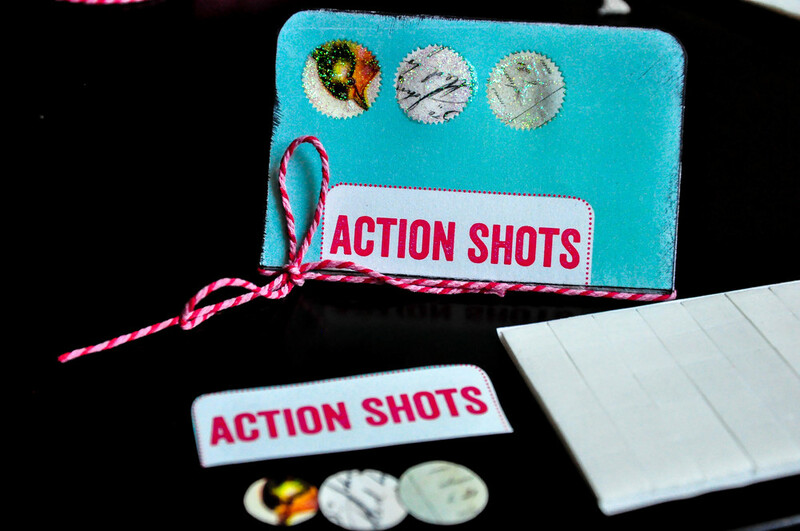 This FREE mini-album requires just a little bit of prep in Photoshop or Photoshop Elements, and then a little assembly after you print it out, and then you have an amazing little book to toss in your bag or purse, hand off to someone as a gift. Or print several and stack them up on your coffee table to let guests flip through. 1. Fold your paper in half length-wise, with the album print facing up. 2. 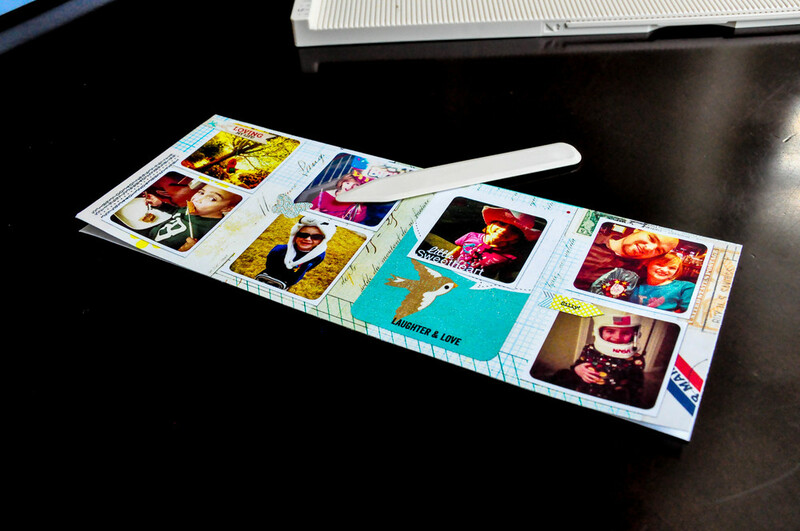 Unfold, and fold your paper in half width-wise, with the album print facing up. 3. With the fold facing away from you, flip the edge toward the fold and crease down. 4. Turn the print over and repeat step 3. Your print looks like one mountain with two flat edges on either end. 5. Unfold until step 2 - a simple width-wise fold. 6. Cut along the length-wise fold from the fold to the first "page"
7. Pull the two cut pieces away from each other and press the album open. 8. Fold and crease the pages. Turn the paper over and fold both ends in toward the middle in "Hamburger Mode"
Now unfold back to the Hamburger (one width-wise fold), and CUT along the hot dog line (the horizontal fold) until you reach the first crease. 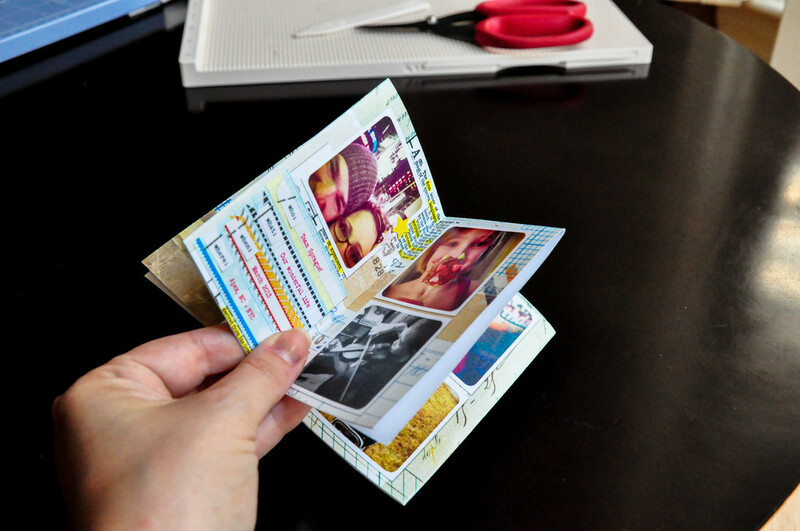 Pull the cut pieces away from each other and down, so the pages are now back-to back. Crease all the pieces REALLY well. And Done! After you do this even once, it will make so much sense. 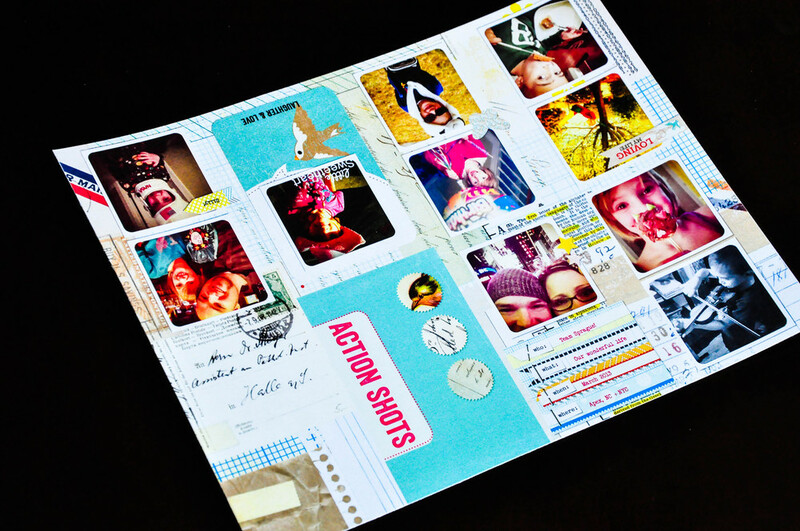 Customize your album with ribbon, stickles, pop dots, ink, or anything you like! NOTES: The pattern for this album is from the book called How to Make Books by Esther K. Smith. Have a wonderful day, friend! Don't forget to check out classes at JessicaSprague.com, and grab some of the gorgeousness that is BasicGrey today!